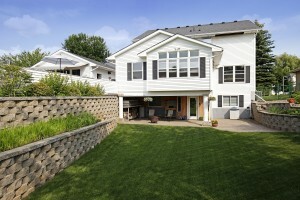 10429 167th St W, Lakeville is a wonderful place to call home. With so many great local attractions such as Kingsley Lake and Lee Lake along with a long list of retail stores nearby, you will surely never get bored. Located just 20 minutes from downtown and extremely close to highway 35, you will be living the best of both worlds; far enough from the hustle and bustle of the city yet close enough where you can take a quick commute. This 4 bed/3 bath two story walkout is located on a .26 acre lot in a quiet neighborhood. You will enjoy having the beautiful Rolling Oaks park located right behind your home. In the perfectly landscaped yard, admire the retaining walls full of flower beds and the large fenced in backyard with multiple patios and large deck. Immediately when walking up, you will take notice of the colored concrete driveway along with the large pillars welcoming you. Upon entering , you will quickly fall in love with the open floor plan, vaulted ceilings, hardwood floors, and ceiling fans. 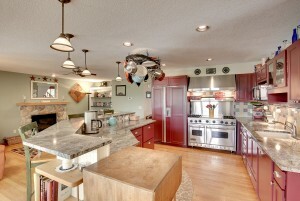 The kitchen was completely remodeled in 2007 to include a Viking range and exhaust, Subzero fridge, and a large 2 tiered granite island with eat-in area. Enjoy the Great Room which includes the gourmet kitchen, spacious family room with stone fireplace and built-ins, and dining room. 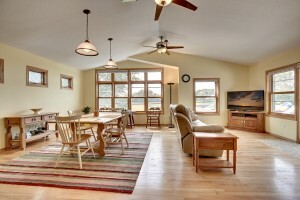 You will love entertaining in this beautiful home! This Lakeville home has four bedrooms which you will find on the upper level; all of which have new carpet. The master suite (16×12) has a full master bath and walk in closet. The lower level walkout is unfinished and has SO much potential! The bedroom and bathroom are already roughed in and there is still room for other areas like an exercise area and amusement room. 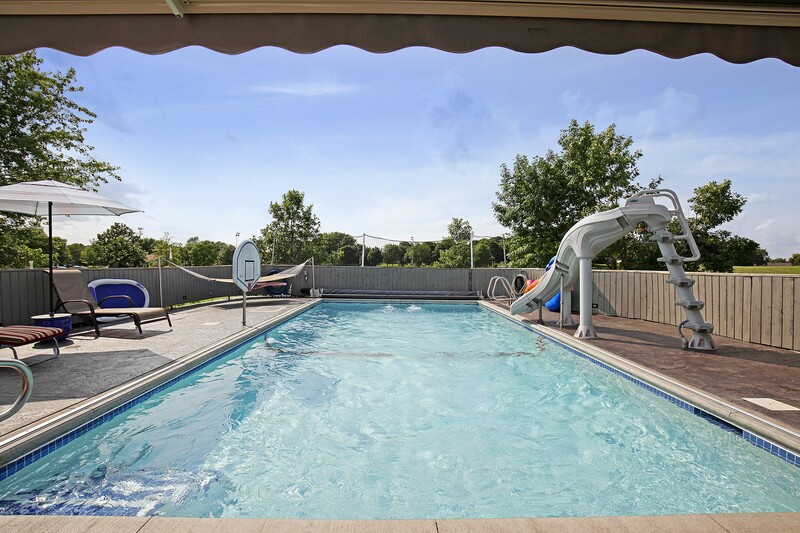 In the backyard, you will surely feel pampered on the sun soaked deck where you will find the custom built concrete spa with waterfall and the concrete sport pool with swimjets for “endless” swimming and 7hp waves to allow for activities like wake boarding. Attached to both the hot tub and pool is a automatic chemical moniter/dispenser. You will feel like a kid again sliding down the water slide or playing a basketball game in the pool. Do not miss the opportunity to see this gorgeous home. 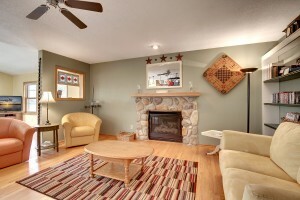 It’s the perfect Lakeville home for a staycation lifestyle!